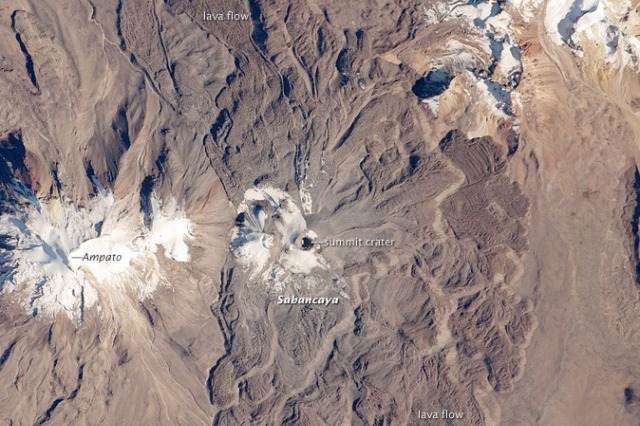 Things happen; as indeed they did in Peru in the 1996 when Volcan Sabancayo erupted melting the ice on nearby Mt Ampato which exposed the final resting place of Juanita (The Ice Maiden). This event changed the course of history as we knew it. Previously the Inca were not known for human sacrifices. Juanita was destined for sacrifice from her birth. 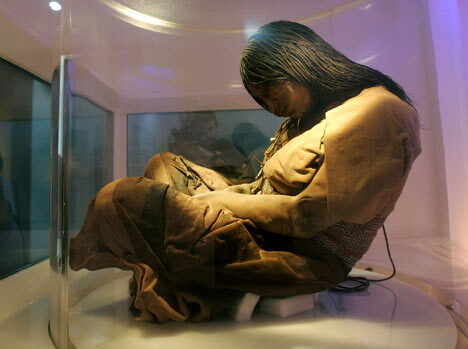 She was paraded throughout the Inca kingdom for 14 years, before being drugged and clubbed to death, along with two younger boys. 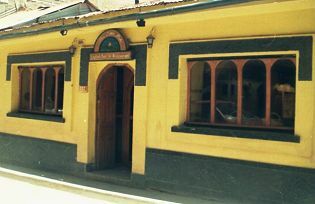 In 1999 I was instrumental in creating The Lake Pub in Puno, long since defunct. For the opening of the pub I created two cocktails. One was a Taquile Honeymoon, which is simply pisco and condensed milk beaten in a blender with ice and served in an ice encrusted glass. The other, reflected The Ice Maiden’s story. The Sabancayo Snow, which is pisco over vanilla icecream in a wide glass with any red fruit syrup garnished with a cherry and a vanilla bean. The red syrup and the vanilla bean representing the lava and smoke plume. I was jogged into this post by Lord of the Drinks, as a result of an excellent post about pisco, and the ensuing round of comments. Thanks for jogging the memory. Gourmet Bolivia – an Oxymoron? Gourmet Bolivia. Now there’s an oxymoron. While its neighbours, in particular Brazil, Argentina and Peru, have established themselves on the world’s food scene, Bolivia has yet to make its mark. Few of us can name any classic Bolivian dishes, fewer still any Bolivian chefs. So the news that Claus Meyer, co-founder of Copenhagen’s Noma, a three-time winner of the World’s 50 Best Restaurants (and the current number two), was opening an upscale restaurant in the capital La Paz was greeted with some astonishment. But Meyer – who, alongside Noma co-owner and chef René Redzepi, is famed for his trailblazing ultra local, seasonal cuisine – was drawn to the country not by its existing cuisine, but by the potential of its raw ingredients. It seems like quite a leap into the unknown for a man who, by his own admission, had never travelled in the country before. He says he was swayed into picking Bolivia by the work done there by Danish NGO Ibis, which has become a partner in the Gustu project. He hopes the benefits will be three-way: for him as restauranteur seeking new inspiration, for customers looking for something new, and for the country, South America’s poorest. Following in the footsteps of Brazilian chef Alex Atala, who is credited with redefining Latin American food with his use of exotic Amazon ingredients at his restaurant DOM in Sao Paulo, and Peruvian Gastón Acurio, whose international chain of high-end restaurants has put his country’s cuisine on the food map, Meyer wants to offer diners a chance to explore local Bolivian flavours they have never even heard of, let alone tried. 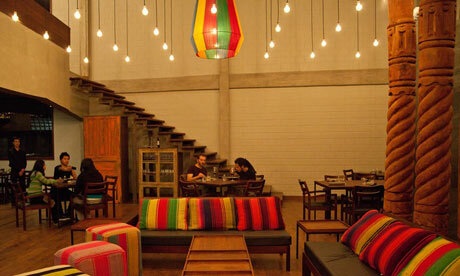 Gustu, which opened in April, is located in the zona sur, the southern part of town where its wealthiest residents live, some of 1,110m below the wheeze-inducing heights of El Alto, La Paz’s satellite town in the north, 4,100m above sea-level. The restaurant’s interior feels every inch the international diner: minimalist décor, grey walls, large windows with impressive views of the Andes and low-wattage exposed light bulbs. Like the food, everything is sourced from within the country, overseen by local designer Joyce Martín. There are flashes of local colour, too, in the Andean-inspired striped cushions dotted around the space. Sampling the Gustu tasting menu is certainly a lesson in the biodiversity that Meyer rates so highly. 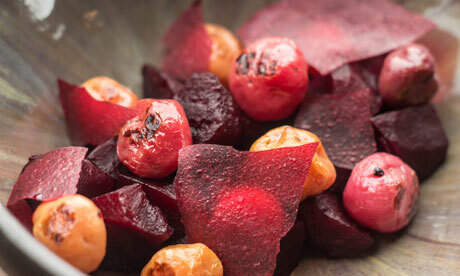 Tender beets come with papalisa, a yellow potato dotted with shocks of pink and flavoured with hibiscus, a plate bursting with colour and flavour. A perfectly cooked egg yolk comes in a “nest” of palm heart strips and alpaca charque, Bolivia’s jerky equivalent. Pink llama loin is served with fermented carrots, coa oil (a herb that tastes like a combination of rosemary, Swiss mint and eucalyptus) and little green and yellow wakataya herb flowers, giving the dish a unique sweet-fragrant kick. As Bolivia is a landlocked country, seafood doesn’t make an appearance, but Lake Titicaca trout does. A standout pudding is the chankaka – sugar cane honey – meringue with sorbet made from tumbo, a green-skinned fruit that looks like passion fruit and grows just outside the restaurant. This is the sort of menu that needs footnotes. The five, seven or 15-course menu arrives beautifully presented on rough-cut slate plates and in ceramic bowls, with attention to detail as obsessive as at Noma. There is also an alcohol-pairing option which, like the cuisine, is full of surprises. For one, Bolivian wine is really rather good, even if some of the bottle labels are shockers. Their whites span everything from riesling to torrontés, their reds go from malbec to merlot. And then there are the cocktails, all made from singani, the national grape-based spirit, and often infused or macerated in-house. The singani with orange is particularly good, with the chankaka (unrefined sugar cane) giving it a dark sultry colour. Cuy – What’s a Cuy? 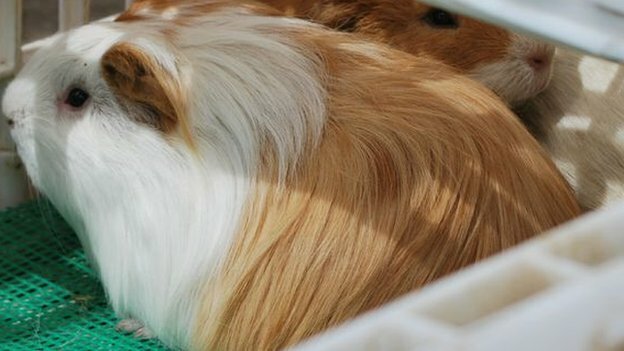 In my opinion, cuy looks like road kill served on a plate with chips. Cuy is a guinea pig. 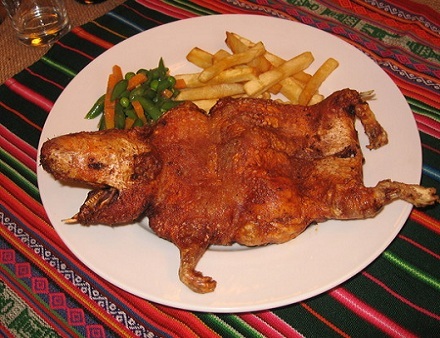 Peru is famous for two dishes, cerviche and roast or fried cuy. The former I love, the latter I have never tried, and won’t. Cuy is not only confined to Peru, but much of the Altiplano. I considered Jet, the tufty black guinea pig who was my first pet. He was forever getting lost and his antics were the subject of a story written by eight-year-old me, which won a local writing competition. That he died in the care of friends while we were on holiday – overwhelmed by the car fumes in their garage – was one of those dramatic childhood turning points that I never really got over. Could I move on? Peru’s national spirit goes to Asia. Entrepreneurs, bar representatives and experts in spirituous beverages from Hong Kong, Singapore, Taiwan and Beijing (China) will be able to try Peru’s national drink Pisco for the first time during a Pisco promotion mission in Asia to be held from February 9 to 22 this year. Peru’s Export and Tourism Promotion Board Promperu, which organizes said event with the support of the Ministry of Foreign Trade and Tourism (Mincetur) and the Ministry of Foreign Affairs (MRE), aims to promote sales of this grape-based liquor said beverage in the most demanding international markets. 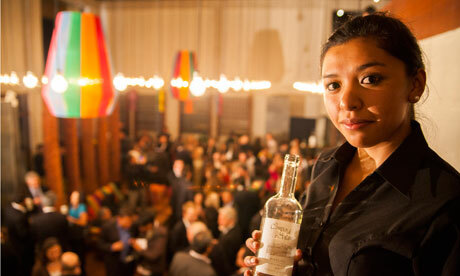 Larcomar Hosts 5 Day Pisco Fair!. for details. 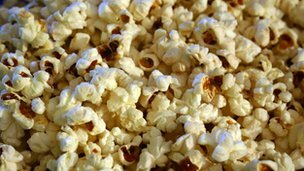 A new study suggests that people living along the coast of northern Peru were eating popcorn 1,000 years earlier than previously thought. Researchers say corncobs found at an ancient site in Peru suggest that the inhabitants used them for making flour and popcorn. Scientists from Washington’s Natural History Museum say the oldest corncobs they found dated from 4700BC. They are the earliest ever discovered in South America. Cebiche Mixto. Photo: ANDINA / Archivo/ Jorge Paz. Lima, Oct. 30 (ANDINA).Peru is most famous for Machu Picchu but slowly the pride of all Peruvians is being recognized — their food. Slowly, Peruvian food is becoming popular in the United States with a new restaurant having opened this past summer in Los Angeles, Picca, by Food & Wine’s Best New Chef of 2011, Ricardo Zarate. And, last month by Peru’s own Gaston Acurio in New York, La Mar is his newest venture in addition to his 34 restaurants in Latin America and Spain. 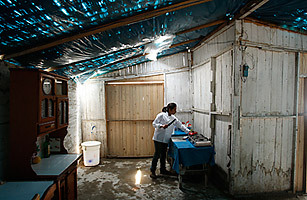 This story I found on Stumble, I have copied it here because it is about food and I love Peru. 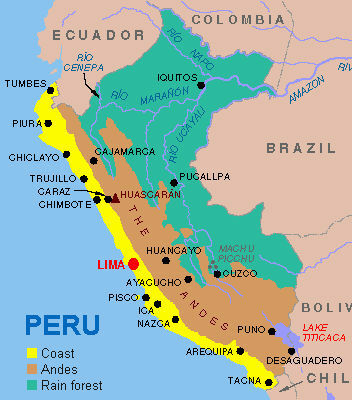 I have lived and cooked there in five different cities and towns; Lima, Pisco, Cusco, Puno and Zorritos. Not only this but I agree with Acurio, Peruvian cuisine is wonderful despite the fact that I will not eat cuy (roast guinea pig). VENTANILLA, Peru — In a slum on the edge of the Peruvian capital the young cooks bustle about in a gleaming new kitchen, stirring up dishes seasoned with social mobility and national pride. Here world-famous chef Gaston Acurio — who recently opened a posh new ceviche joint on Madison Avenue in Manhattan — aims to bring the gourmet delights of his native Peru back to its own people. “The real power of the kitchen has not yet been used. The power to feed, to welcome, yes. But the power to transform (the country) socially has not yet been released,” said 43-year-old Acurio. His answer is the Pachacutec Institute, established in 2007 in Ventanilla, a dusty slum on the edge of the desert that still has no running water 20 years after it was built and is home to some 100,000 families. Popularly known as “Gaston’s school,” the institute offers a two-year cooking program to disadvantaged Peruvians of all walks of life, graduating 50 professionally-trained chefs each year. For a nominal fee of 100 soles ($35) a month they receive lessons from chefs from Acurio’s restaurants, the kind of training that would cost 10 times as much in Lima’s booming cooking academies. Acurio, who also was the Spanish voice for the cartoon rat and star of Disney’s animated “Ratatouille,” about a rodent who becomes a chef, now runs some 35 restaurants around the world. His cuisine has gained recognition for its diversity and his fusion of Andean, Hispanic and Asian tastes. “At the end of the day, our task as Peruvian chefs is not to invent a rare recipe for caviar… but to promote our culture, to generate opportunities in a country that has so much inequality,” Acurio said. Young people, who once dreamed of becoming football stars, are now setting their sights on turning into famous chefs, and some 500 people apply to the institute every year. In addition to teaching how to prepare traditional Andean and Amazon dishes, the school also seeks to instill values in the students, which partly reflects the funding it gets from a Catholic trust. “The message is comprehensive: that the food begins with the planted seed, the small farmer without which we in the kitchen are nothing. That we need to protect and know our products, to pass on what we have learned,” Bruno Donaire, a student, said as a teacher inspected his potato cake stuffed with crab and avocado. The students have also benefited from Acurio’s contacts in the industry: last month the famed Catalan chef Ferran Adria, of El Bulli, paid a visit. Adria was in Peru for a documentary on the growing international popularity of Peruvian cuisine, which he called an “amazing phenomenon” that had an impact on the psyche of the country. Source: Google- AFP. Images: various chosen by me. Reading this article has been an emotional experience, the pictures of Ventanilla bring back memories of the many times I have passed this slum ( called pueblo jovenes in Peru, or young towns) in the bus on my way south. While I have never been to Ventanilla, I have lived with one of these slums as a close neighbour for many months, my local bar was a part of one; and the residents my friends and drinking pals when I lived in Playa El Chaco. 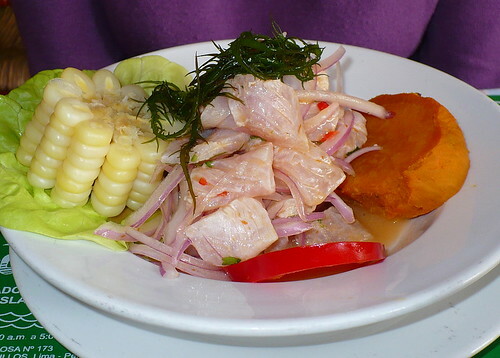 Ceviche is a traditional Peruvian dish. It has been referred to a Peruvian sushi because it is made with raw fish and seafood. There are as many versions of ceviche as there are fish in the sea. Ceviche is any raw fish, cut into slices or cubes and marinated in lemon juice. Additionally, chopped chilies (according to taste or tolerance) are added and the dish is served with a variety of veges; corn-on-the-cob, roast corn kernels, boiled sweet potato and sliced raw onions. Serve on a lettuce lined plate with parsley as a garnish. From Tumbes in the north to Tacna in the south you can find ceviche served anywhere. Tourist spots like Cusco and Puno also get their fish fresh from Arequipa daily. So it is widespread through the country. I might add that while I have said that ceviche is a traditional Peruvian dish, many types of ceviche are found throughout Latin America. I have seen many articles and recipes posted on blogs (principally American) around the internet that mention the use of limes as well as lemons; even Wikipedia makes a reference to limes. In close on 20 years traveling around and living in various parts of Peru I have NEVER seen nor heard of limes being used. I find this quite erroneous. I can only assume this ignorance stems from the fact that Americans think any citrus fruit that is green is a lime. Here in South America, lemons are green, the yellow Mayer lemon with which Americans are mostly familiar is a rarity. I have found the same mistake is made when American blogs write about caipirinha (traditional drink from Brazil); limes are NOT used, green lemons are. Some examples, as you can see there are many styles. If you haven’t tried it, do so. The recipe is so easy, because there is no recipe.